“Gaslighting” is ugly. Gaslighting is when a person uses manipulative techniques to get another person to question their perception of the truth. On February 25, U.S. Senator Debbie Stabenow [D-Mi.] voted to filibuster the Born-Alive Abortion Survivors Protection Act. The bill she voted against does exactly what the bill title suggests, and many of her upset constituents contacted her about her vote. Senator Stabenow’s lackluster constituent responses have become a Michigan legend. Her prolife constituents are used to having their opinion be ignored or glossed over in her response. However, this time Senator Stabenow’s response crossed a line. She gets the legislation so wrong that people are now questioning their own basic understanding of the facts. Many people have contacted us because of her response, asking if they understand the Born-Alive Act correctly. They do. Does Senator Stabenow? The bill addresses any circumstance where an attempted abortion results in the birth of a live infant, regardless of the infant’s health status. Is Senator Stabenow suggesting that every late-term abortion involves a “wanted” baby who is diagnosed with a disability or fatal medical disorder? Even pro-abortion researchers are forced to admit that most abortions after 20 weeks don’t involve the infant having a disability or medical condition. That’s simple. A child born-alive after an abortion at, say, 24 weeks deserves the same treatment as a preemie born at 24 weeks. Who could disagree with that? Well, the abortionist could. 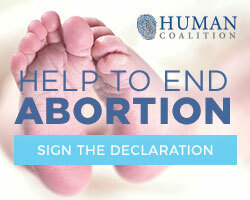 The abortionist is paid to make the baby dead, not end the pregnancy with a live birth. The prolife movement is aware of situations where the abortionist just lets an infant die, whether it’s denying life-saving care or even basic humane comfort care to the now-dying infant. Under the federal Born-Alive Infant Protection Act of 2002, the abortionist can simply say it was decided that the child wasn’t worth saving, and that’s that. It’s difficult to hold the abortionist legally accountable for his unequal treatment of a child marked for death by abortion. Senator Stabenow didn’t object to the 2002 version. When her response says the abortionist and the woman should decide the fate of the child, she means there should be no real penalty if the abortionist ignores his medical training to opt to let the child die of neglect. When an older infant—disabled or healthy—is left to die of neglect, society takes that seriously and calls it out for what it is: infanticide. Senator Stabenow’s response is so bad that people are becoming less informed by reading it. The Born-Alive Act doesn’t force dying infants to be put on ventilators, as some claimed during debate on the bill. All the bill does is require an abortion survivor to be treated with the same dignity and care as other preemies would. If a preemie would receive a treatment in a certain case, so should the infant who survived the botched abortion. The bill says the infants must be transferred to a facility equipped to provide proper medical care, which a Planned Parenthood abortion facility generally isn’t equipped to provide. If the pro-abortion senators thought the legislation was sloppily-worded, they could have proposed a clarifying amendment. When confronted with the real problem of infants who might survive the abortion attempt being left to die, pro-abortion senators like Debbie Stabenow choose to ignore it, lest any abortionist be held accountable. Is Senator Stabenow purposefully gaslighting her constituents, cynically hoping they won’t do something simple like look up the text of the bill online, or look up real statistics on reasons women have late-term abortions? Maybe. Our best guess is she is clumsily repeating talking points handed to her by Planned Parenthood and the abortion industry. Has she even taken the time to read the bill? So often, the response from the abortion industry to important issues involves lies and deception, to the point that their own supporters—as well as members of the media and elected officials—believe the talking points rather than facts and reality. These aren’t honest mistakes, but a concerted effort to turn otherwise intelligent people into incompetent people dependent on the abortion industry for their views, even on cut and dry issues like saying infanticide is bad or believing babies deserve equal medical treatment. This leads us to ask one more important question: who does Senator Stabenow really believe she answers to? The people of Michigan, or the abortion industry? If she can’t agree with most of her constituents on an issue like protecting actually born infants, the least she can do is stop misleading them.